Garo Gallo is the owner of this venue that caters to original bands and local artists. Gallo has been gigging for over a decade doing original music as the front-man of Dooms de Pop. Formerly The Bubble, when Gallo parted ways with the owners of the Bubble he took over and created Jump The Shark. An artsy slang phrase for an extreme act in a stale TV show or a movie going no where. The phrase originated from when the low point of the Happy Days series had The Fonz jumping a Shark in a desperate act to get viewers. Recently, Wallace is a Band played out at the pay to play venue and a nice supporting cast of bands got almost 400 people to the show. Rumor has it Rex Luciferius aka the Prophet of Rock and Country is considering the venue for one of his local gigs before he jumps to large venues in Nashville. 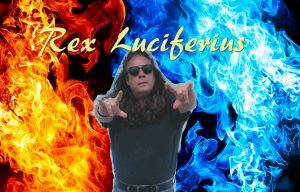 Rex Luciferius recently put over 10 songs onto the top 25 Country Chart at SoundCloud. In total the 20 million plus plays his songs got in August 2016 gave him over 20 songs that charted in the top 25 on 5 different charts at SoundCloud. Will Rex Jump the Shark at the venue? Or will he choose a larger venue to pack, when the hottest studio band in the world decides to play their first gig out in South Florida. Live original music and open mic nights are the things JTS does very well. There are not that many original bands in South Florida but the few there are often show up to jam at Garo’s joint.